Today we share some of Yousif's story with you. He suffers side effects from his treatment for leukemia. Treatment he received in his home country of Iraq, and London, in the U.K. Chemotherapy and a bone marrow transplant, left him with no vision in one eye and hearing in only one ear. "When in the United Kingdom, my brother, he would play the guitar and we would go to the club every day; and there were a lot of singers in our house, and they would play together. That is what got me through. We would play together and have fun. I did endure a lot, but every day I would go dancing and listen to music – I kept living and didn’t give up". There is much evidence to suggest that music and dance have therapeutic effects. If you observe small children, they will often 'move with the beat'. How many videos have we all seen of babies and toddlers 'singing and dancing' when a song that catches their interest comes on? Clearly there is something within us that responds to music. Do you ever catch yourself singing in the car? How many songs are in your music collection? Think to when you feel sad. What tune do you search for? When you feel happy and carefree, which song do you like? Probably each and every one of us can find a piece of music that will suit any given mood. Likewise for dance. Even if you are not a pro, it's hard to resist the 'Chicken Dance', or the 'Macarena' or the infamous 'Loco-Motion'. Even if you don't get up and participate, bet your toe is tapping! We may not consciously think of these things, but music and dance can reach deep down within us and feed the soul. Perhaps many of us, thinking we are adults and thus must act accordingly, feel silly busting loose to a tune. However, once you let go of the initial awkwardness you might feel, all that is left is freedom and as you let your body sway to the music, you open yourself up to receive a new energy that is life affirming and refreshing and makes you reach for the 'replay button'. Yousif found opening himself up to music and dance during his treatment to be life affirming to him. 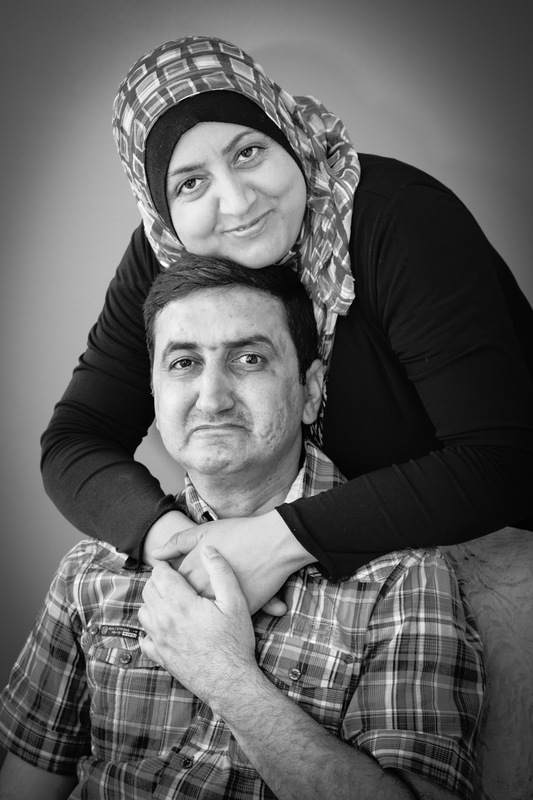 Yousif is pictured here with his wife Samar. Doctors told Yousif he would never be able to father children. Yousif and his wife Samar, are parents to a beautiful young boy, Ali.